Spring is a time of change and renewal and this season was no exception for the School of Environmental Leadership. This February, we ushered in an unbelievably talented class of incoming students to the school. As the Executive Director of MarinSEL and again as a parent in the program (my youngest will start this Fall), I am very excited for what’s ahead. In April, we welcomed a new Lead Teacher, Randy Baker, who is a phenomenal educator. 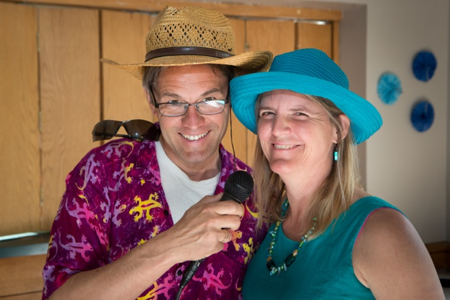 Randy has been teaching at Terra Linda for 14 years and brings an impressive breadth of instructional experience, extensive media and broadcasting savvy, and a deep love of nature to complement our program. This May, we also launched a new fundraising Generosity campaign, “We Have an Idea”, which we hope will help us fund student projects and the training and resources to bring more environmental equity concepts to our teachers and students. As with any new beginnings, we’ll also soon be saying ‘goodbye’ to a few very dear parts of our school. Our former Lead Teacher, Jesse Madsen, will be accepting a new position as the Senior Pathways Coach for the Marin County Office of Education (MCOE). I am ecstatic to see Jesse continue building incredible opportunities for the students of Marin and look forward to the knowledge, resources, and inspiration he’ll bring back to MarinSEL through this new position. My eldest son Taren will be graduating with the MarinSEL Class of 2016 today, all of whom I have had the privilege of watching transform into even more exceptional people and leaders over these past four years. I am so incredibly proud of all of them! I hope that as new projects, plans, challenges, and opportunities enter your life, that you too will embrace change. Our future, and that of our students, alumni, parents, and staff, is very bright with much to anticipate ahead. Please connect with us online at our website, on Facebook and on Twitter. There are exciting ways to support MarinSEL this month! You can donate to and share our We Have Ideas! We're trying to raise $2,000 in two weeks! Generosity campaign with your family, friends, and networks. Our donor prizes include a specially made MarinSEL bumper sticker, artistically penned and personalized thank you cards, and the top secret MarinSEL pizza dough recipe. Visit the link above and share using #WeHaveIdeas #MarinSEL. All funds will support innovative curriculum development, teacher training, and project implementation support. Take one minute to click and vote on our video in the TechSoup Storymakers 2016 contest. The prize is $5,000 and voting ends June 15th! Sign up to help out! Our Volunteer Spot page has many opportunities to lend a hand, including writing, editing, and technology roles for these newsletters. Visit and sign up today. MarinSEL is a unique program with its emphasis on environmental leadership. So, it’s no surprise that the internships it offers are as unique as the program itself. Where else can students choose between workplaces as diverse as Bioneers, Marin Clean Energy, San Rafael Airport, and Christ Presbyterian Church, among others? 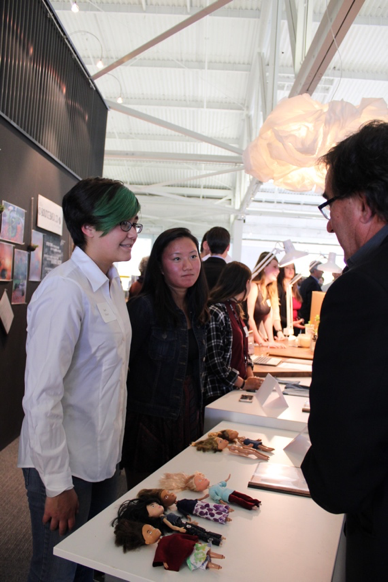 These diverse opportunities to actualize change and receive hands-on learning are what attract students to MarinSEL. 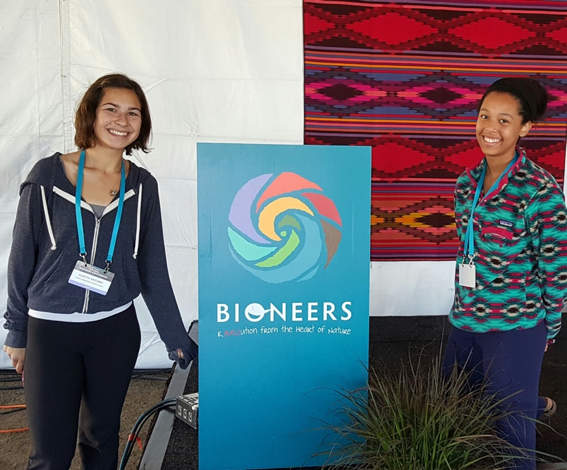 She added that it’s important that the larger Terra Linda and Marin County community take advantage of such a special and inspirational event the Bioneers conference offers. 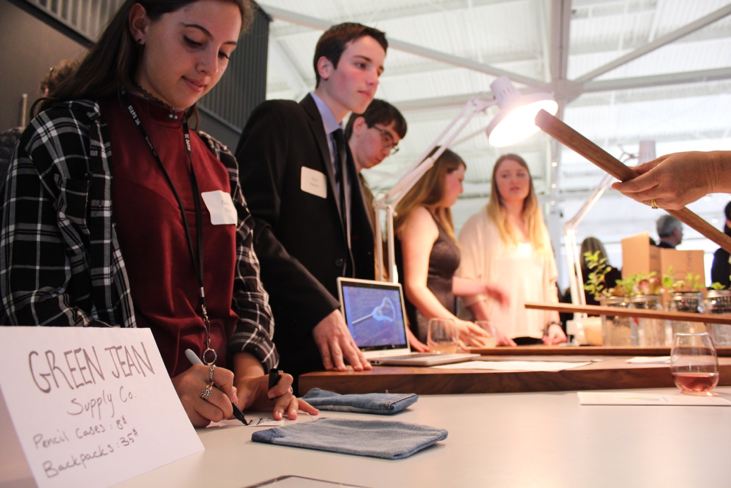 At the MarinSEL Business Leaders Mixer on March 31st, Juniors pitched their sustainable business products to our local community. The students found it to be both a challenge and a valuable learning experience. For Everson Smith, creator of Bounce Back, there were actual sales involved. The product, which transformed used tennis balls into mini-terrariums, were a hit. “The Business Mixer was a great opportunity to get awareness for our business. We were able to take down many people in the community's e-mail and we plan to notify them when we go to the farmer’s market or if we have any other Bounce Back news. It was also great because we made money, but also filled people's names for future orders (which we were unable to fill in the moment). 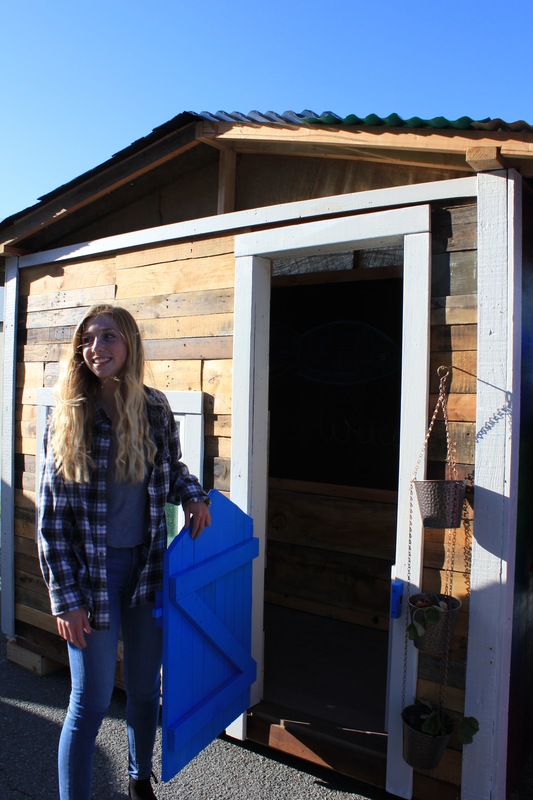 It was, finally, great practice for our group to present at future events or farmer's markets, as we got the chance to talk to powerful business leaders in the community,” Everson said. 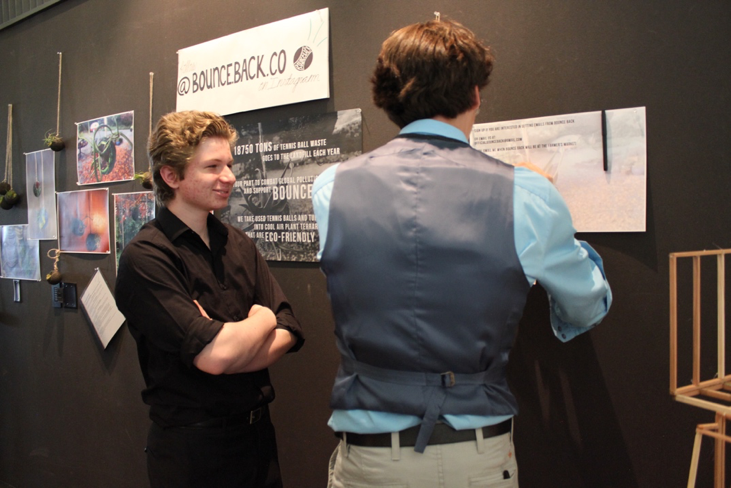 The students received instant feedback on their ideas as potential clients visited each station. The attendees offered feedback on target market, pricing, and design. One of the biggest challenges the students faced was communicating easily with the business leaders as attendees flowed past their individual stations. “It was difficult for the kids to communicate their product message quickly and clearly. The venue was loud and the students had to be concise, clear, and loud with their descriptions and sales pitches or their information was lost in the surrounding sound.” Madsen added. 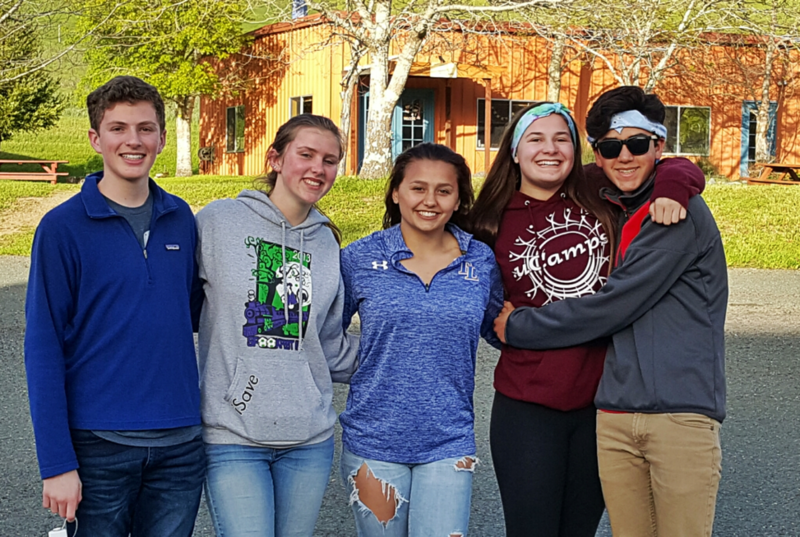 There was a welcome break in routine for MarinSEL Sophomores when the entire class went to Walker Creek Ranch for the last school week in March. 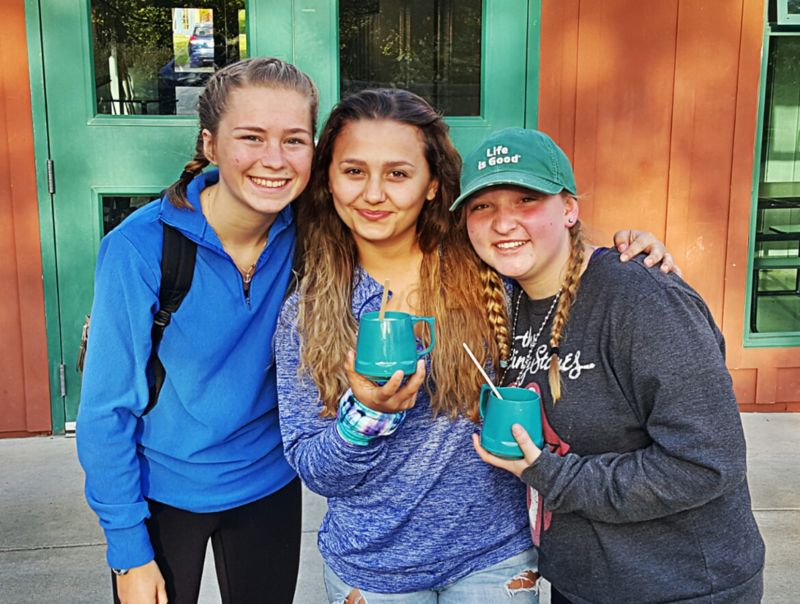 The Sophomores were Cabin Leaders for 5th grade students from our local public elementary schools, Dixie, Mary E. Silveira, and Vallecito and, without a doubt, it was a win-win experience for everyone. The MarinSEL Sophomores had a large responsibility in managing the 5th graders. 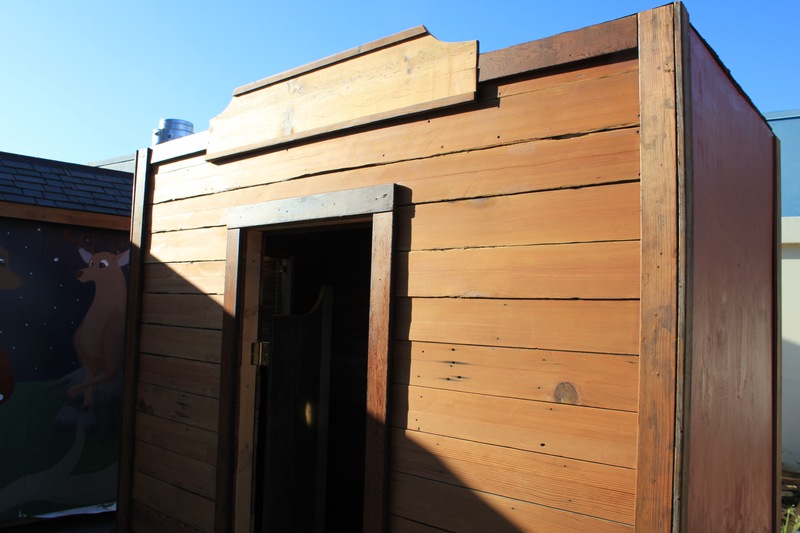 They had to enforce camp rules, build teamwork among their cabinmates, and model best practices and behavior for 24 hours a day, including mealtimes, which was an exhausting experience, a few MarinSEL students reported. 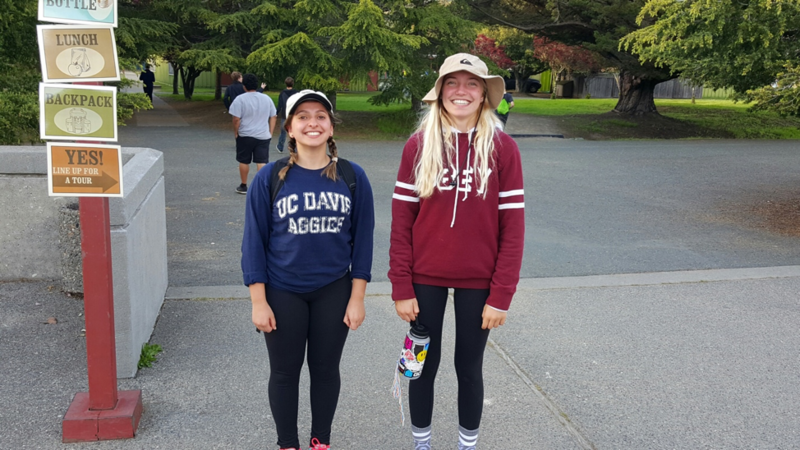 MarinSEL students found that “there was a difference between being along for the ride and being a leader,” which made a significant in their Walker Creek experience. Time flew. 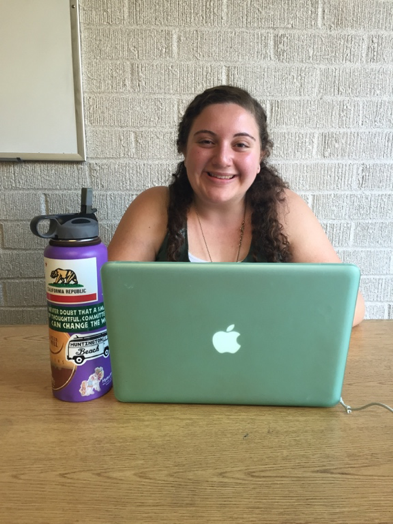 “There was no time to think about anything but your kids,” stated Paloma Siegel, sophomore. Small conflicts required the leader to be adroit, managing the mood so it remained positive and light while also disciplinary. For some of the MarinSEL students, fresh communication skills emerged as the leaders learned to turn questions back to the students so they could see the answers themselves. For example, questions like “Do I have to carry this trash?” were answered with “Do you think someone else should carry it for you?” This form of dialogue helped both leader and student come to the same conclusion, with the leader finding new ways to solve issues. The days were focused on environmental education, occurring in the bucolic rolling hills of West Marin. An all-day hike (3 miles) to Walker Creek was not long, but beautiful when they arrived on the top of Walker Peak and surveyed the land. There was the “Solo Hike” which required the 5th grade students to hike a set trail alone to find clue cards which helped them note and discover elements in nature. No one balked and no one cried. Another day, they went to the pond, took off their shoes, walked in the mud, found tadpoles, and did the “Polar Bear Plunge” with the top of their heads dunking into the pond. It was fun, relaxing and very playful. They finished the activity by face painting with pigments made from rocks, blue, red, and white. 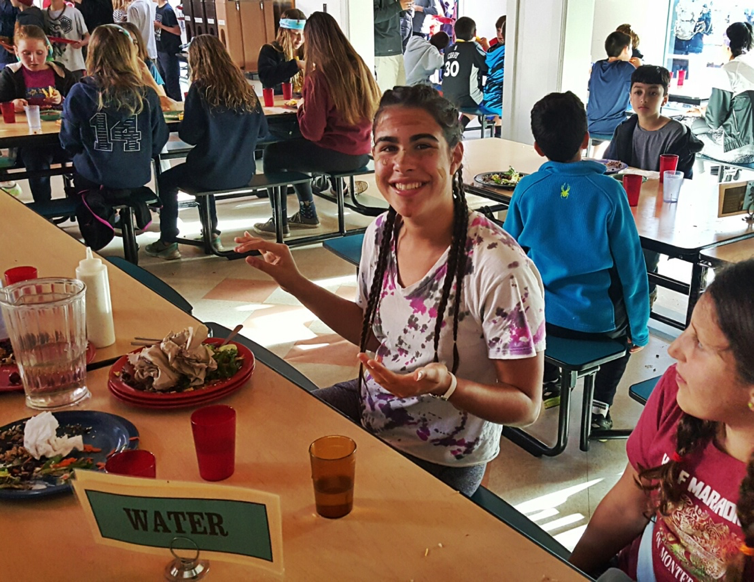 At the end of the day, they ate camp food which was “not bad at all” and even included a vegetarian and a gluten-free option. Being in nature, away from technology and the confines of their home, was good medicine for students, big and small, and an important chance to be reminded why nature is worth fighting for. Project goal/focus: To maintain and improve the MarinSEL garden, promote local food growing and buying – and introduce four chickens! 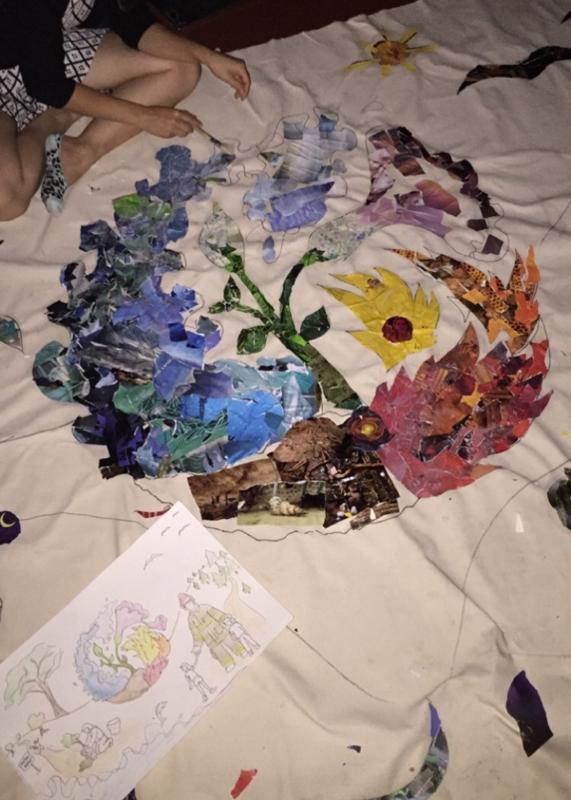 A word from the parent leader, Emma Blatcher… “Creating a business model of how to take goods to the farmer’s market, doing projections, figuring out plant cycles - it’s a lot of work compared to other projects,” affirmed Emma, the parent leader. 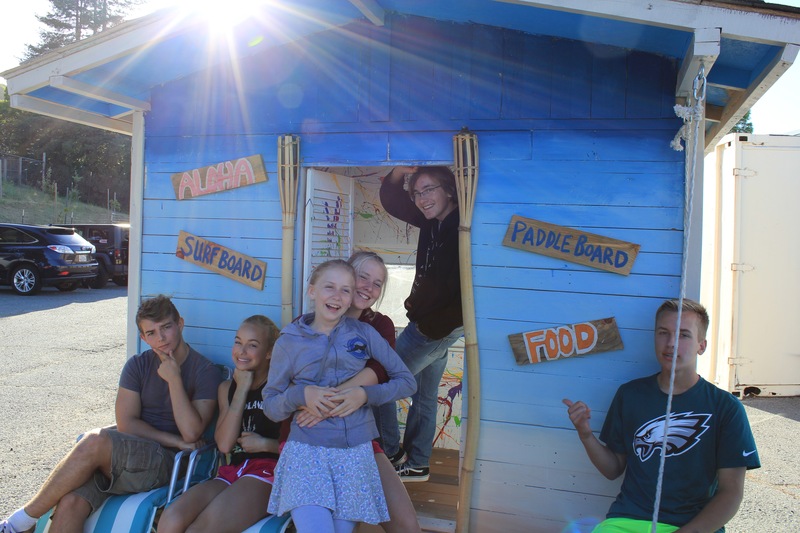 “The students have to think ‘what can we grow that will be in season and ready by the time we’re at the next Farmer’s Market?’” Emma also explained how the students are also learning how to talk to the public and explain what MarinSEL is all about. Project goal/focus: Reduce traffic congestion by promoting alternative transportation options to and from TL. Long-term goal: Reducing traffic-related hazards and reducing ridership of single-person vehicles by 15%. Is there an educational component? The group is considering doing a pledge drive, a walk audit, and tabling during Earth Day at school. But one idea stood out – “We’re hosting a morning B&B – a bike and breakfast,” according to Max. “With the B&B, we’re trying to get a whole bike movement started first here and then have it spread throughout the entire community.” The group said they’re working to get business sponsors for B&B, like Mike’s Bikes and Bikes for Kids. Project goal/focus: Changing the amount of waste generated by TL. “We’re going to do this by encouraging better sorting habits of waste and by minimizing extra garbage,” Luke said. Long-term goal: Changing administrative behaviors and processes. What are you most excited about? “We’re really excited to do something that MarinSEL has never done before – that the school has never done before,” Sawyer said. “I’m really looking forward to seeing how people respond – I hope it’s a positive response!” Miranda said, adding that they also hope to get the cafeteria on board and build a better relationship with them. A word from the parent leader, Li Goo… “I really enjoyed bringing the experience of touring the Marin Sanity Service recycling center back to MarinSEL – and I’m looking forward to creating some visual tools to help promote recycling – like posters and installations, like filling a glass case with a month’s worth of used water bottles,” said Li, a graphic designer in the professional world. Project goal/focus: Working with the Marin County Board of Supervisors on affordable housing to successfully gather information, brainstorm solutions, and devise a plan that can help the board overall. Long-term goal: Improve overall sustainability in Marin City and the San Rafael Canal, areas where there is affordable housing. Project goal/focus: Spreading awareness about the benefits of native plans, planting in the first plot (prepared by the first LEAD group) and preparing a second plot for planting (for the next LEAD group) by mulching. The plots are located in the front entry of school – so the end goal is also to beautify the front of the school with native plants for everyone to see! Long-term goal: To have a native plant gardening elective added to the school curriculum. Is there an educational component? “On Earth Day, we’re going to have a table and educate students about the value of native plants through games and showcasing the actual plants,” Cole said. The plants will be donated via a grant by Sloat Garden Center. Hello everybody! I’d like to start of this entry with a brief life update. I ended my winter quarter with a solid grade point average and had a blast being back in Marin for spring break. This quarter I am taking some really fun classes, such as Philosophy Through Children's Literature, and finding more ways to stay involved among the student body. For this entry, I will talk about a trait that members of the MarinSEL community highly value: resourcefulness. While undergoing the college application process, it is important to be aware of the resources that are readily available to us. I encourage high school students to talk to college students in order to get a full perspective. One event I took part in during my spring break was the TL Alumni Panel. That panel is excellent because it provides insight directly from students that went to Terra Linda. When I applied to this school, Cal Poly Pomona was not necessarily at the top of my list. However, a friend who graduated from Terra Linda in 2013 and attends this school was immensely helpful in providing information and encouraging me to attend. She even told me which dorm buildings to list as my preferences based on which ones were the newest, cleanest, and closest to the dining hall. As per usual, this advice comes solely from my personal experience and everybody goes through a different path. I hope you all enjoyed reading this edition of Ani’s Corner and I am eager to find out how the college application process plays out for everyone this year. 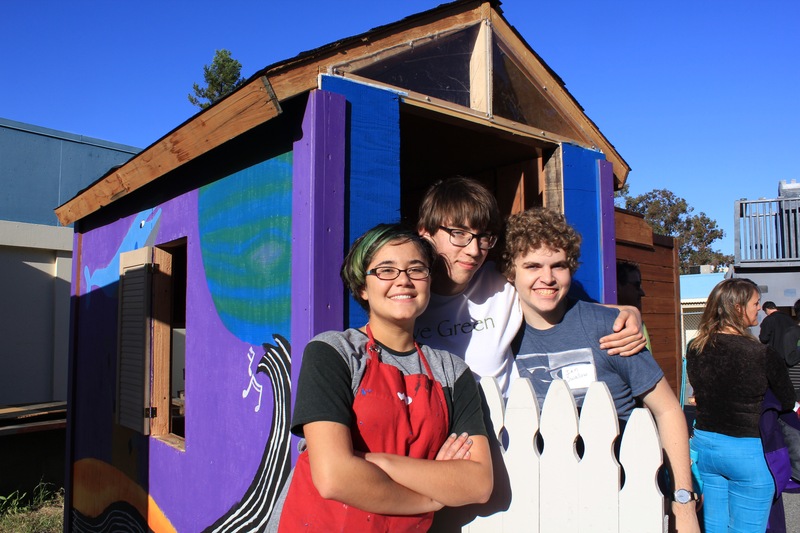 We are grateful for the incredible financial support from parents, which have allowed the Marin School of Environmental Leadership to grow and offer an innovative program within Terra Linda High School. MarinSEL receives grants and other outside funding; however, family contributions remain a key component to its financial success. We should hit this year’s monetary goal of $120,000, as many of our families’ payments are still coming in monthly. As important as the monetary goal is, so is the level of parent participation in this year’s campaign. Our freshman class achieved a record 100% parent participation. Well done! We reached 87% participation for our school overall and look forward to bringing engagement up even higher next year. Next year our monetary goal will be higher in order to raise additional funds to cover more leadership development and special training for our teachers, as well to support administrative costs. We hope when you receive our letter for the 2016-2017 school year, you will continue to support of the MarinSEL program and help us to achieve our goals. Thank you to parents Barbara Kessell, Tina Cheplick, Nubia Barajas and Sheri Matteo for your help on this year’s committee. 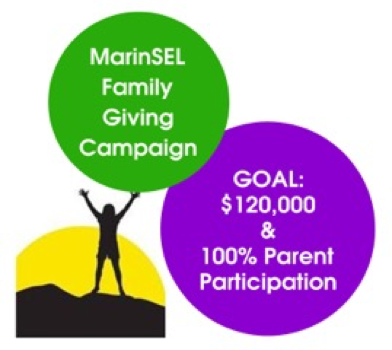 And, thank you to all the parents who recognize this dynamic program by contributing financial support to MarinSEL!